Pokemon Go 1.13.4 update for iOS and 0.43.4 APK update for Android available to download right now for supported devices. It may come as a surprise to some of you, but Pokemon Go is still around. In fact, not only is it alive and well, it’s actually receiving updates long after the initial buzz which saw it featured on national TV news shows and the like. The people behind the game have announced that new versions are being rolled out for both Android and iOS right now, and those who are fans of Halloween will be pleased to learn that there are some treats in store as well. Looking at the game updates first, Pokemon Go fans can look forward to this rather uninspiring list of changes and fixes when the 1.13.4 update for iOS and 0.43.4 update for Android downloads. Try to contain your excitement, folks. Fixes are always good, even if they’re “minor text fixes,” but what we really like are themed additions to games like Pokemon Go, and that’s exactly the kind of thing we can expect this Halloween, according to the team behind the Pokemon Go phenomenon. It’s Halloween season and we have a treat for you! From October 26th to November 1st, you’ll earn double the amount of Candy every time you catch, hatch and transfer Pokémon! 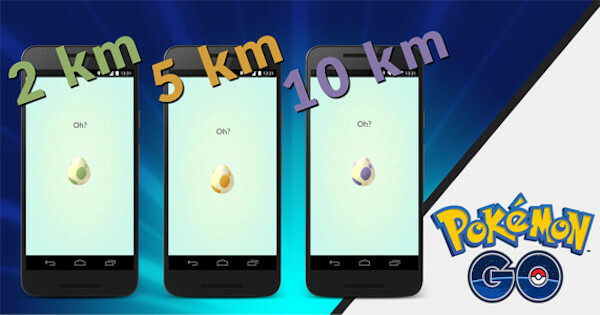 Don’t forget your Buddy Pokémon, because they will help you earn Candy four times as fast. There’s never been a better time to catch ’em all! Remember to update the game though folks, the update should be reaching your respective app stores right about…..now! Update: The post has been updated following a very minor version 1.13.4 and 0.43.4 release over previous version 1.13.3 and 0.43.3 release, adding minor bug fixes. iOS 10.1 Portrait Mode For iPhone 7 Plus: How To Use It For Taking Bokeh Shots. You gonna update Poke+++ with this new update?